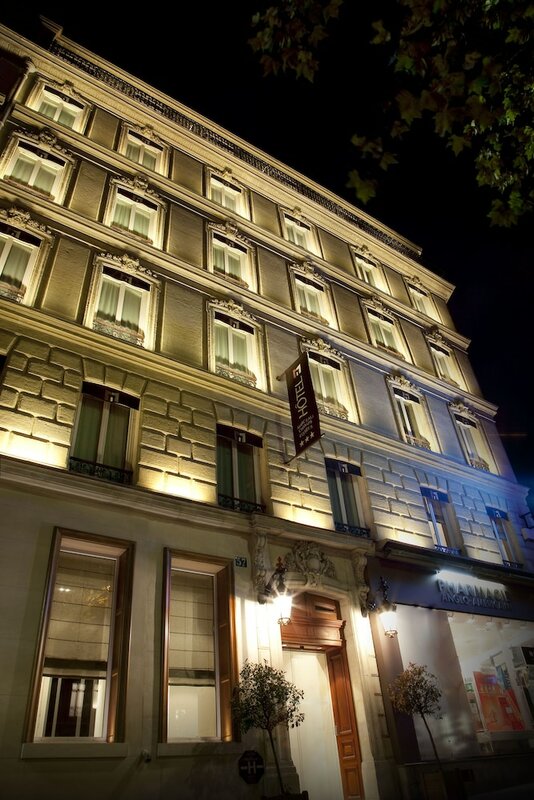 With a stay at Hotel Marceau Champs Elysees, you'll be centrally located in Paris, just a 3-minute walk from Avenue Montaigne and 6 minutes by foot from Champs-Elysees. This hotel is 0.4 mi (0.6 km) from Lido and 0.5 mi (0.8 km) from Arc de Triomphe. Make yourself at home in one of the 35 air-conditioned rooms featuring minibars and flat-screen televisions. Complimentary wireless Internet access keeps you connected, and satellite programming is available for your entertainment. Private bathrooms have complimentary toiletries and hair dryers. Conveniences include safes and desks, and housekeeping is provided daily. Buffet breakfasts are available daily from 7 AM to 10 AM for a fee. Featured amenities include limo/town car service, complimentary newspapers in the lobby, and dry cleaning/laundry services.